Coconut lovers … this is a must! 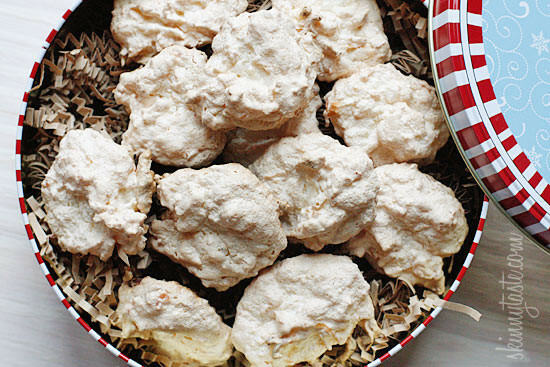 These Coconut Cookies are to die for – a hybrid of coconut macaroons and meringue but with added cornflake crumbs. Delicious and gluten-free! 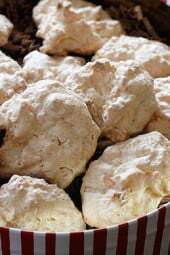 A few of my favorite varieties of meringue cookies include Sprinkle Dipped Meringues, Black and White Chocolate Chip Clouds, Chocolate Chip Clouds and Peppermint Meringues. With the holidays quickly approaching, I’m sure lots of you are busy baking! This recipe was emailed to me a while ago by a woman who told me these were “to die for” hence the name. I held on to it for a while with intentions of trying it for the holidays and I was super pleased with the results–I think you will be too! For the cornflake crumbs, you can buy gluten-free crushed cornflakes in many supermarkets, but if you wish to make your own, just put them in the food processor and crush until very fine. If gluten free is an issue, check the labels on the cornflakes, not all are GF. 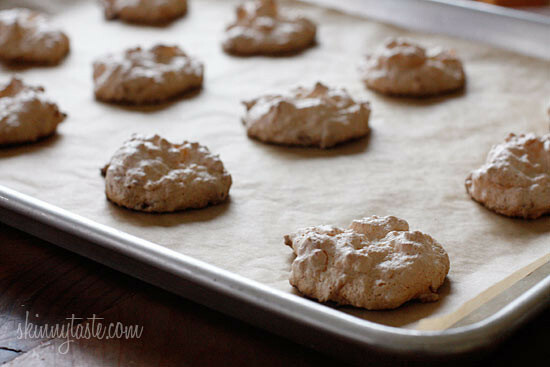 Drop by spoonful onto parchment lined cookie sheets. Bake for about 18 minutes or until golden. What can be used to substitute corn flakes? They contain malt which is one of the 3 main things to stay away from if you have celiac, therefore they are not gluten free. Suggestions? Last paragraph she says to use gluten free cornflakes. These cookies were a huge hit at work and at home with my 7yr old daughter that says she doesn’t like coconut! 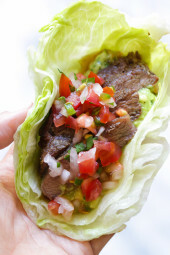 Just now came across this recipe… trying to eat a tad better for the New Year. I nearly inhaled two right out of the oven! These were amazing! any substitution for the cornflake crumbs? could i use panko crumbs? Instead of cornflakes what about oat flour, would that work? I just made two attempts at the meringue mixture and I just can't get it to form properly 🙁 I tried a plastic bowl, a metal bowl, adding all the sugar at once, adding it a bit at a time… nothing seems to work. Any tips? Did you use a carton of egg whites? Usually they're pasteurized and won't whip into meringues. I learned that the hard way. It will usually say on the side or back of the package if they're not recommended for meringues. I don't have any cream of tartar…what do you suggest as a substitution if there is any? OK I JUST finished making 8 dozen, I needed 6 dz for tonites cookie party!! OH MT THEY ARE DELICIOUS!!! I added mini choc morsels to the batter…soo good!!! Hi! Im trying these today! Can I just TRIPLE the recipe for 3 batches? I'm thinkin' I'll add a sprinkling of mini chocolate chips to the batter…wonder how finely chopped walnuts would work? Oh yummmm! Susan – Alaska I have my last cookie sheet of a double batch in the oven, I substituted rice Chex for the corn flake crumbs and added a few drops of almond flavoring they are delish. These cookies look amazing! I love coconut. I made these tonight, they are soooo good (my son and I have eaten 7, oops). I will say I tried a shortcut using a carton of egg whites I had and the meringue would not work, changed to regular eggs and it was perfect. Also, I used gluten free corn chex as the cereal, so yummy! Can't wait to try these! Every recipe of yours I have tried has been delicious AND diet friendly! I especially appreciate that you have so many gluten-free friendly recipes! My son and I were diagnosed with Celiac Disease almost two years ago, and it's so refreshing to find so many easily adaptable recipes. Keep up the great work! I'd love to make one GIANT one. Gina, I love seeing all these skinny cookies on your site!! How do you store these cookies? Can you make these cookies one day ahead and serve them the next day? Will they still taste good? I really want to make this recipe and serve it the next day? I am trying these with Rice Krispies (you get 1 3/4 cups for the same weight watcher points as 1 cup of cornflake crumbs) I like to have volume and I think they will work just as well. Wow. These are super yummy!! This recipe works with powdered stevia instead of sugar. Use about 1/2 teaspoon or to taste. Don't overuse stevia or else it goes bitter. OMG! Just made these tonight & they are definitely to die for!!!!! I just made these today….delicious!!! I used Special K multigrain oats and honey and they were just amazing. I made these last night. My mother is coming in town and looooves coconut. They are light and airy! I added a tiny bit of almond extract…so delish! My mother made a version of these for years but she did not crush the cornflakes. Putting them in without crushing them gives the cookies a lot of crunch. I just made a batch of these and they are awesome. Melt in your mouth kind of awesome..i just have one question, when i entered it into my recipe builder, it says 1cookie is 48calories. And 2are 96, am I missing something?? I have made these several times now and everyone LOVES them. I use splenda and whatever cereal I have (rice krispies, bran flakes, etc) and the last time I used unsweetened coconut and mini dark chocolate chips….YYYUUUUMMMMYYYYYY! They don't stick around long at my house. 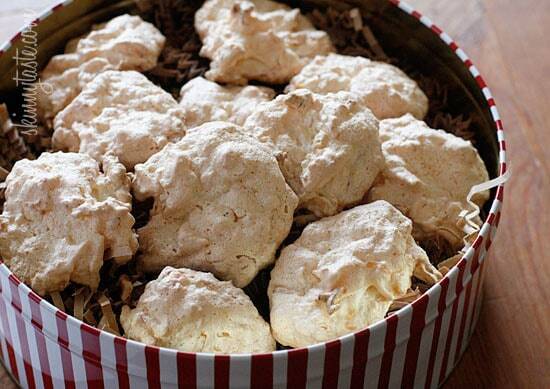 I made an attempt to make these tonight and i could never get the meringue to form properly. Do you or does any have any tips to help me for this part of the recipe? Wow…I did not get around to making these at Christmas, but they are amazing. Like mini Coconut Meringue Pies. I love the idea of a drop of food color to make them pretty for various Holidays. Unique and fun. Thank you! Help! I was just trying to make these. I followed the recipe exactly and within 3 minutes in the oven my kitchen was full of smoke. The cookies themself looked fine. I had to throw the batch away. I thought maybe the over had a spill and was smoking, but no. Could it have been the parchment paper? I have to tell you, these are AWESOME!! I have made them a couple times since Christmas and they are soo good, kind of reminds me of rice crispy treats! If you haven't tried them—you should!! The best macaroons ever! These are so soft and chewy but crisp on the outside just like a macaroon should be. I just love your recipes. Just made these this morning and they are to die for! The only thing I changed was the corn flakes for special K because I didnt have the corn flakes. Do you think this would work with crushed cheerios? These really are to die for. WOW!! I made 2 batches over the weekend. I added a few drops of red food coloring to the 2nd batch as an early Valentines gift to someone. I only had original bran cereal so I crushed them. I added a few chopped almonds too and they are great. I was in a baking mood last weekend and made a batch of these along with some of our favorite cookies. My college age sons who would usually not touch a "meringue" loved them. They took them back to campus with them. As for storing, I froze some in a plastic zipping bag and had some last night. They weren’t hard like some frozen cookies and I ate one straight out of the bag. Just as good as fresh from the oven. Gina, I don't think these will last long but what is the best way to store these? In something with a loose or tight fitting lid? I made these last night. They were quick and easy and taste like roasted coconut. So good! I slightly over cooked the first batch but still yummy. My husband doesn't like coconut but loves these. Go figure! I did't have any problems with them sticking to the parchment but I removed them immediately and did not allow them to cool on the paper. Are these really cookies aren't these more like merengues???? I'm just saying…. Meg, they might work with nuts! I didn't have issues with sticking, maybe a silpat would fix that next time. I made these tonight and my bf's first words were "They taste like frosted flakes!" Making now….however, my cookies are sticking to the parchment paper. Any ideas how to correct? Aaynmelisa – I made them with unsweetened coconut today. I found a substitution on the web that said to soak the unsweetened coconut in milk for 30 min, then drain and dry with paper towel. Add 2 tsp of sugar for 1 cup of coconut. I didn't add any sugar and the sweetness was good. They turned out a bit flat (not as tall and puffy as the photo). I think I needed to squeeze out more moisture. They taste great though! fantastic recipe, gina! my house loved them! do you think you could add nuts or are they too soft? i definitely want to try dipping the bottoms in chocolate next time. sounds like they would be adorable and delicious that way! In the oven now. I can't believe how easy these were to put together. Thank you, Gina! Strange, I will look into it! Donna, I have the opposite problem but sure, just add more sugar, I'll guess 1/4 cup more? Just my kind of light Christmas cookie!..A quick question…is it possible to make changes to enable me to use unsweetened coconut..I find it nearly impossible find the sweetened variety here in France. Continued thanks for such a consistently impressive and helpful blog. I just checked the print friendly button and it worked fine! So glad you all liked them!!!! I'm not sure if they work with Splenda. I use an electric beater to beat the egg whites. Everything should be squeeky clean and metal! 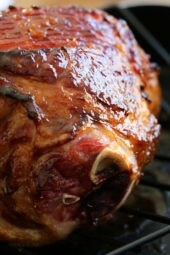 Can't wait to make them, I also put the recipe on my blog with a link back to you. Thank you. Just made them. They were my first successful macaroons. The outside was crisp and inside chewy. I probably could have cooked them for a couple minutes more. Very good. The kids like them too. I have made a version of these for years and always love them. I've made them with mini chocolate chips, mint flavoring or with sliced almonds and they always are to die for. 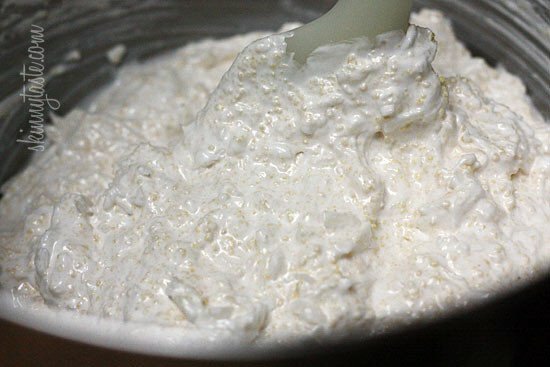 (the cream of tartar helps stabalize and fluff the egg whites, but you can leave it out if you don't have any) If it's rainy, they may get gooey from the humidity. Always seal them tightly in an airtight container. 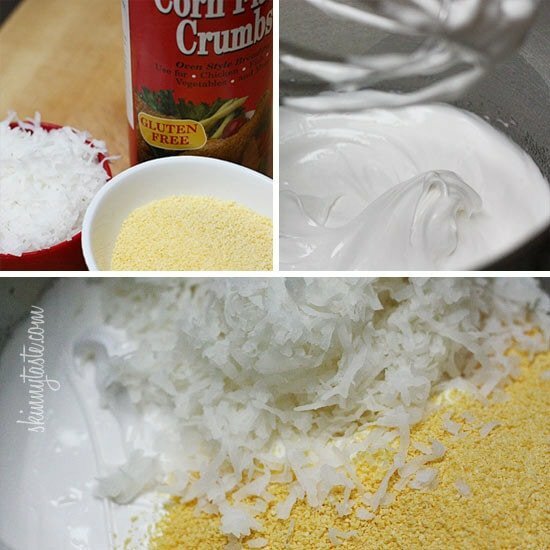 Evan and Holly: Substitute Gluten Free Corn Flakes for this recipe. You should be able to find them in your grocery store or at a health food store. Just crush the cereal yourself. Sound like a great idea for my cookie swap!! Gina.. I don't know why.. but when the print format of this is pulled up.. the ingredients aren't there..??? Just me.. or something strange? 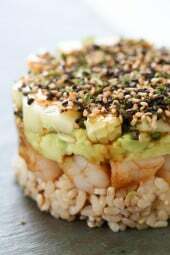 I just open my e-mail and the coconut just stands out soooooo I am definitely making this! Thank you! Had these for BREAKFAST today! Ha! Oh are they ever yummy 🙂 Thanks Gina! I am a novice baker– when it says to "whip the egg whites" etc.. is that whipping by hand for 8 minutes? or do you use an electric beater? (usually, if that's the case.. it says "beat".. ) But, I want to make sure before I try this DELICIOUS looking recipe! I just love Macaroon Cookies and I love coconut! I never saw them with cornflakes, I am betting that is so good! I need to try this recipe out! Thanks! Hi Gina, do I first whip the eggs and then add the sugar and tartar and whip some more, or do I first combine them all together and then whip? Thanks! I cannot wait to try these for my Sunday treat! I find it hard to get a lot of the ingredients for your desserts here in Ireland. The only cake mix available is Betty Crocker's Devil's Food Cake and I have never seen you use this. I am so excited that I can make these! Hmmmm, I just made these and they are more crispy than chewy, I followed the recipe, but they are delish! Can't wait to take them to work tomorrow. Gina, you might say that I'm addicted to your site. I am always checking daily to see what is new! Thank you for all that you do. You keep me on track. These sound so awsome. Going to make for my son's pre school holiday play at church Monday. Can't wait to see what else you post that I might bee able to take as well. Do you think that these would work with splenda? I made these tonight and they are AMAZING!! I am going to bring the remaining to work tomorrow cause I could eat them all in one sitting…they are that good!!! Oh my gosh, I've been making these (sans corn flakes) for years and it really was more of an accident that they came out so fluffy. They are delicious and everyone raves about them…I've been known to crown them with sugar free chocolate as well. These are moist and chewy, not crunchy. Honestly, I only tried them with the cornflake crumbs so I am not sure what happens if you substitute but it needs to be crispy. I don't think panko would work. If you can't find them crushed, crush your own. Bran flakes would also work. I have some in the oven now!!! I used a corn based gluten free chocolate and peanut butter puff cereal (all I had on hand). I tasted a dab of the batter and it was FAB-U-LOUS; I can't wait to taste the actual cookie! Thank you again for your great recipes. Looks great! Can I substitute regular or panko bread crumbs for the cornflakes? I love all your recipes.. I am on here everyday..just can't get enough!! Is there a substitution for the cream of tartar? Are these a moist cookie or more of a crunchy cookie? Claire, they ad a slight crunch, adding more coconut may increase the points. I'm sure it would work though! Oh yum! I love coconut! Any thoughts on other substitutions for the corn flakes? I was thinking oat, coconut, or almond flour. Thanks! I have substituted corn chex as they are gluten free. I received this recipe from a friend using the corn flakes. They are delicious both ways. I didn't crush the cereal but that might work well. I find coconut flour very dry, try rice flour, or mixing 50-50 coconut/rice? Instead of sugar I use stevia.